In 1992, President George Bush (the first) sent in 25,000 Marines to restore order and end mass starvation in Somalia, East Africa. Their mission seemed successful. However, after the Marines pulled out, Somali warlords resumed fighting each other and starvation began again. When Somali militia killed more than 20 Pakistani United Nations soldiers, the Americans sent in Task Force Ranger. 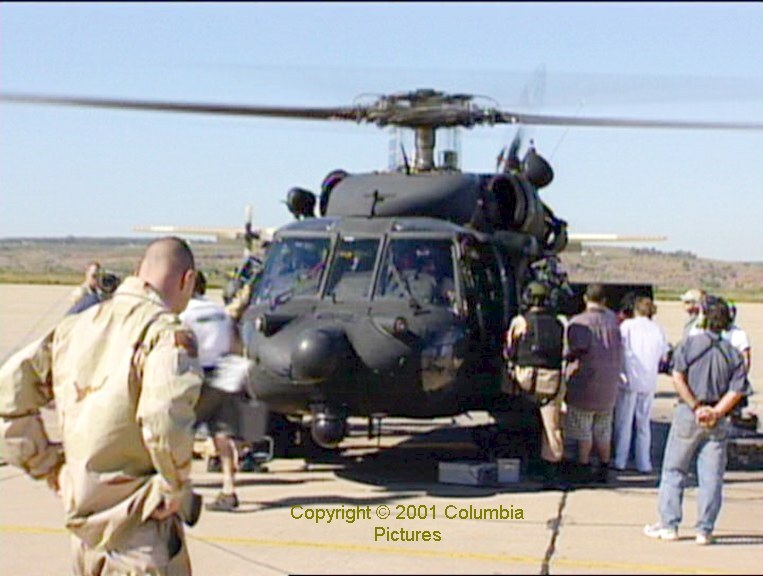 In October 1993, that task force had two UH-60 Blackhawk helicopters shot down. A 2001 movie by Ridley Scott portrays those latter events. This is a review of the three-disc DVD set, which contains the Ridley Scott movie itself, several hours of material for students of film and visual effects, and two documentaries about the battle. 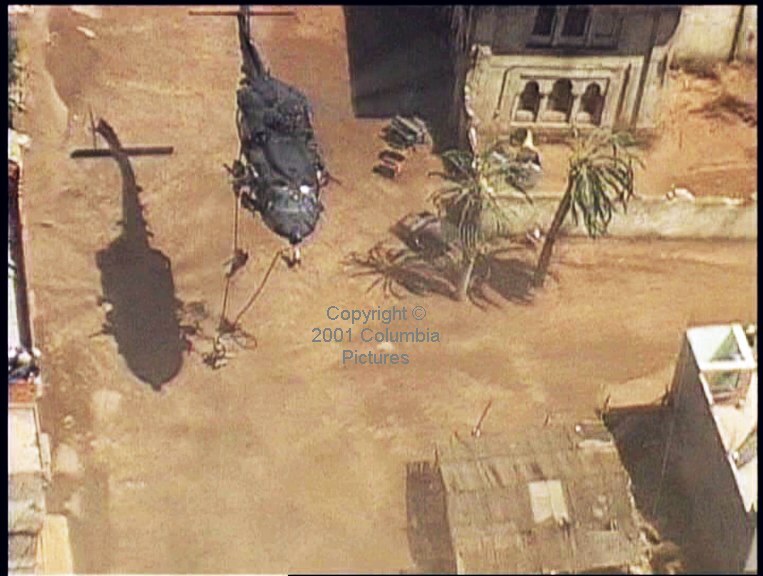 Black Hawk Down is not a conventional Hollywood movie. It is more a dramatized documentary. The action is set in Mogadishu, Somalia, in October of 1993. In the opening scene of the movie, a machine gunner on a ‘technical’ opens fire on the crowd at a United Nations food distribution centre. The Rangers’ mission was to capture the chief of one of the militias that operate in what has been described as the world’s worst failed state. Sometimes the troops of Task Force Ranger moved with helicopters and sometimes with ground vehicles. On Sunday, October 3rd 1993, they used both. There’s this huge sense of urgency any time the helicopter flies. It’s such a violent machine. It shakes and it screams and it’s going some place and you see these guns hanging off the side and all these men with weapons. — Quoted from the interview with Sergeant Keni Thomas in the PBS documentary on disc 3. 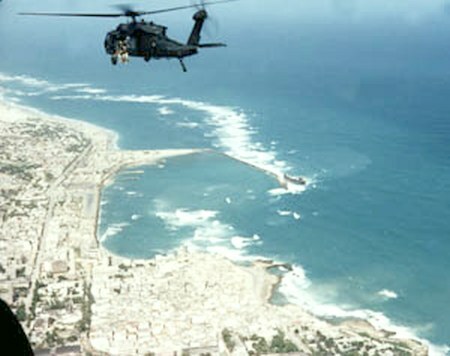 A Sikorsky UH-60 Blackhawk, call sign Super Six-Four, flies above Mogadishu on October 3rd, 1993. The pilot in command is Chief Warrant Officer Mike Durant. The movie was filmed in Morocco and this sequence hints at why that country is a popular destination for paraglider pilots. At least it is when they are not filming helicopter war movies. The main helicopter action is not acting or special effects, incidentally. The US Army provided vital support in the making of this movie, as did the state of Morocco. Having said that, the swirling dust in the movie is a special effect. In the real war, they risked flying blind in dust, but they damped it down when flying for the cameras. In the air-to-air filming, three of every four frames is blurred. However, the motion more than makes up for the shortcomings inevitable in filming helicopters from helicopters. The second disc is worth watching just for the extra film of these landings. In the movie, the pilot manoeuvred to avoid an RPG round fired by a ‘skinny’. Incidentally, the term ‘skinny’ comes from the tall bipedal aliens of the first war in Robert Heinlein’s Starship Troopers. The movie Starship Troopers had not been made in 1993 (it omits the skinnies anyway) but, according to the Mark Bowden book that inspired this movie, the Heinlein novel was popular with the US Rangers. Forty minutes into the mission, with the original objective achieved other than the troops withdrawing, a UH-60 was hit by an RPG and it crashed. The pilot of this LOH for the movie was the same man who landed beside the crashed UH-60 in the actual battle seven years previously. 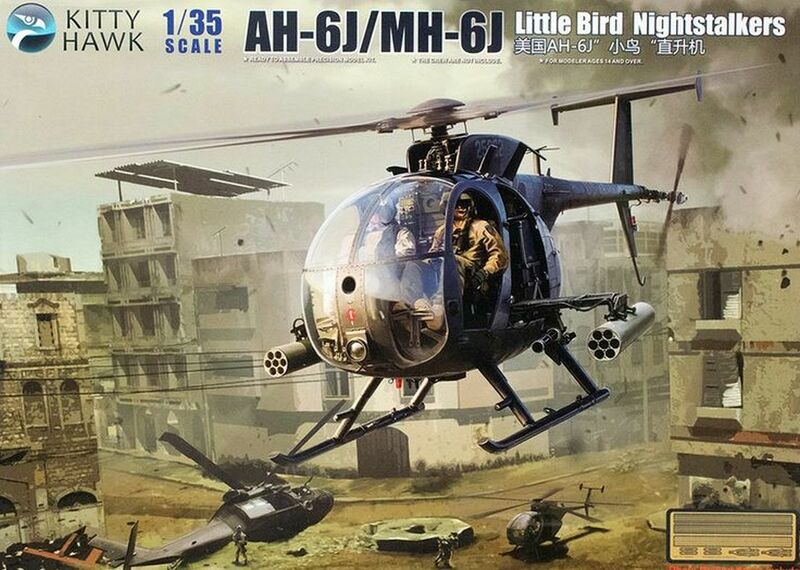 The Kitty Hawk 1/35th scale H-6 (LOH) box art depicts the same action. How do helicopters land in streets criss-crossed with telephone lines, power lines (albeit with no power — this is a failed state, remember) and just random wires strung about? The answer is, I suppose, carefully. Then a second Blackhawk, Mike Durant’s Super Six-Four, was hit and crashed in a shanty town district on the outskirts of Mogadishu. That’s two UH-60s down and the surviving crewmen in need of rescuing. The problem is that the ground convoy was under heavy fire and unable to navigate the streets and alleys, many of which were blocked by vehicle wrecks and burning tyres. Militia men rescued Mike Durant from the crowd, reasoning that a prisoner was of more value to them than another dead American. Holed up in a ruined building over night, the troops attempted to stop bleeding from a main artery in the upper leg of one of their comrades. This scene is shortened in comparison with the reality (as reported in the book) but the outcome is the same. As Ridley Scott explains on disc 2, the battle lasted 18 hours. If the film was not also to be 18 hours long, events had to be compressed and characters combined. Eventually a United Nations convoy reached the crash site. A handful of ‘timeline’ texts help the viewer understand the action. This is the crash site of the first UH-60 shot down (partly on its side; nearest the camera). On the left are US Army HMMWVs. The larger vehicles are Malay army APCs and Pakistan Army trucks. There was not enough room for all the Americans to get aboard the vehicles. 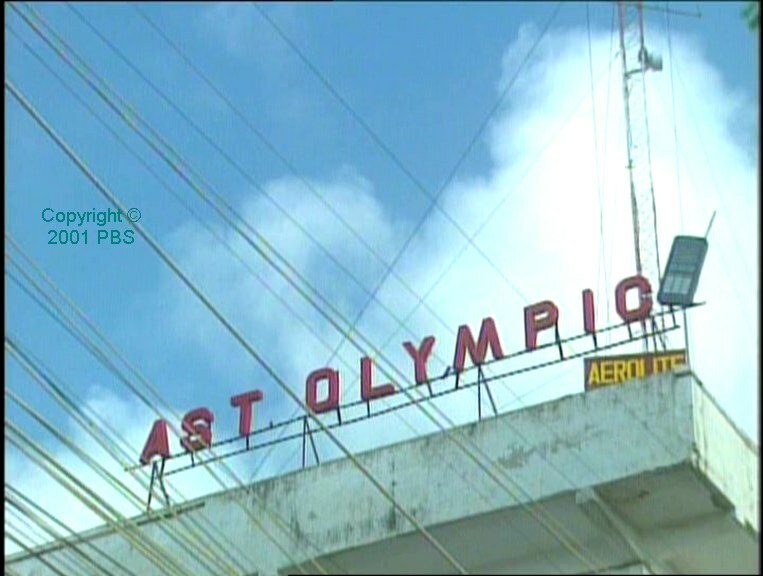 In the movie, the APCs left a squad to make their own way back to the sports stadium used as a base for a United Nations force of Malays, Pakistanis, and US 10th Mountain Division troops. According to narrators on the alternative sound track on disc 1, they were not abandoned in that way, although some of the individuals involved might have perceived it in that light. 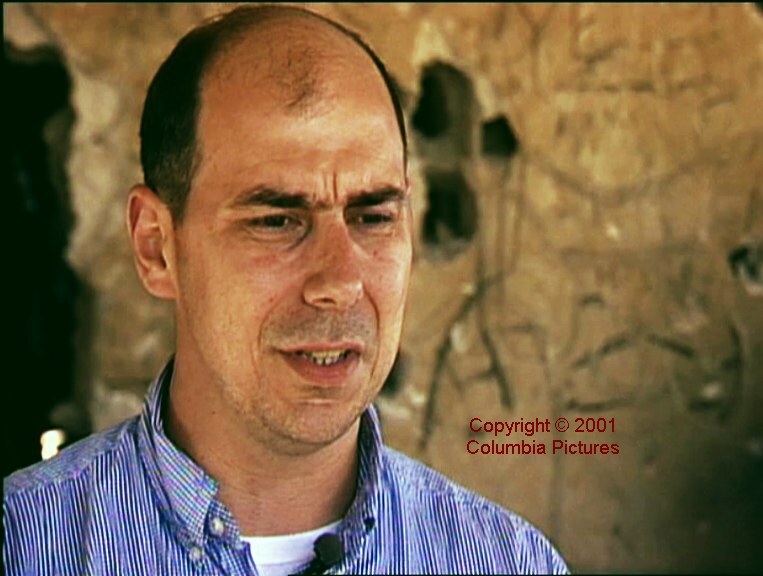 The latter view is borne out by recollections of some of the troops involved, who are interviewed in a PBS documentary on disc 3. Refreshments were served when the straggling Americans arrived at the UN base at the sports stadium. Disc 2 of the three-disc set is about the making of the movie, starting with Mark Bowden explaining how he came to write the book. Interviews with the actors who played the US troops reveal a variety of accents, including Australian, Scottish, Welsh, and several regional variations of English. During the last night of the actors’ training by the US Army, each man had an anonymous note pushed under his door thanking him for his efforts. 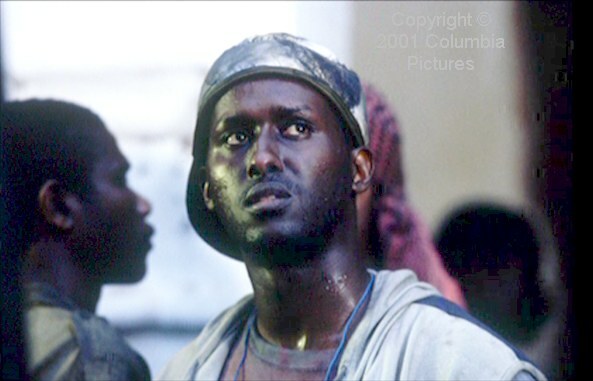 It also asked that he portray the man whose name tag he wears to the best of his ability — for the memory of those who did not make it out of the first battle of Mogadishu. 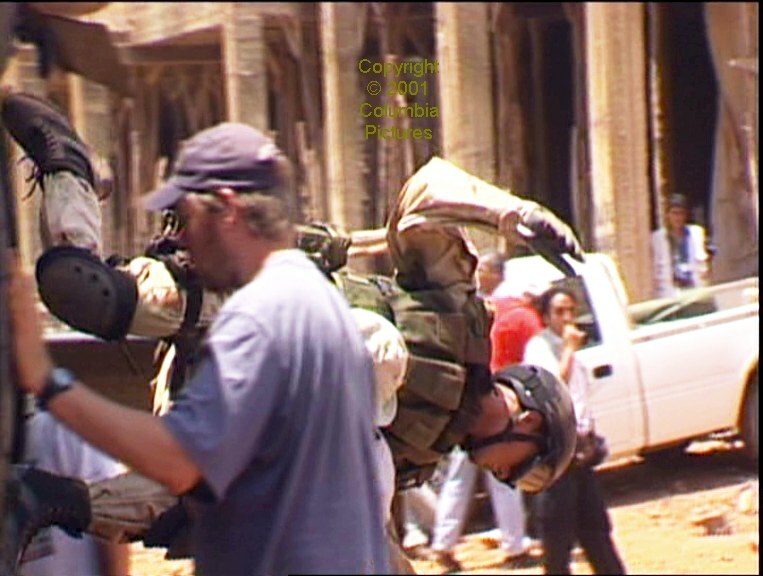 The film makers found that many of the extras (actors recruited for crowd scenes and as militia fighters) who were from many countries, needed no training on weapons handling. It is even possible that, like those Rangers who fought the battle and who took part in the movie, some of the Somali militia fighters did likewise. The building they used as the militia headquarters — the target of the mission — was ideal for filming the action. That is because it was built for the film on what was previously a soccer field in an abandoned district. (They replaced the lost amenity by creating a soccer field a few blocks down.) This is a big budget movie! The background music, although noticeable, is unobtrusive and magnifies the alien feel of the battle. The East Africa sound of some it is reminiscent of that in Gladiator. 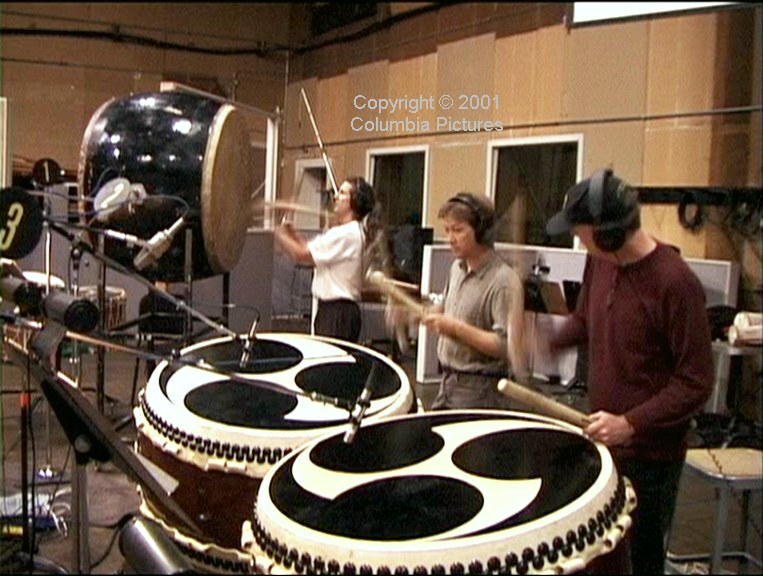 This photo is a still from the extensive background material on disc 2. A starship trooper is loaded aboard an actual size model UH-60 for the crash scene. Like the makers of the physical model, the special effects animators built the CGI model — which exists only as a series of zeros and ones in a computer — by examining the four real UH-60s on hand and a couple of manuals. All these elements — a full size physical model, a sixth-scale crash model, the CGI model, and real flying — are combined seamlessly in the movie. The UH-60’s tail rotor is canted from the vertical. Several purported explanations for this can be found. One is that Sikorsky miscalculated the centre of mass, which was too far aft. Rather than redesign the whole thing, they subverted the tail rotor’s normal function to redistribute the lift. Clearly, yawing the helicopter by rudder pedal input then creates a pitching moment as a side-effect — because the force created by the tail rotor is partly upwards. That effect is negated by programming the computerized flight control system to add a compensating pitch force from the main rotor. 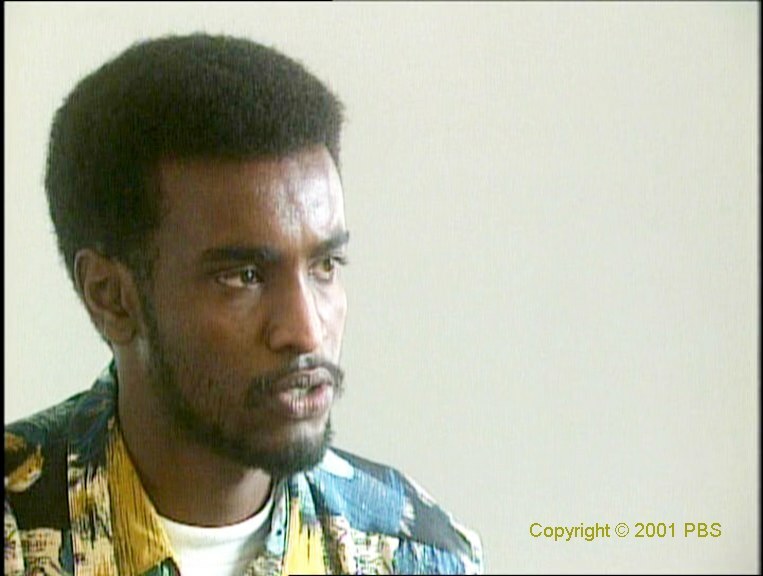 In the PBS documentary on disc 3, ‘Captain Haad’, one of several Somalis interviewed, describes how he and his comrades ambushed the American ground convoy at a road intersection. At the Pakistan stadium, a commander confers with a loach pilot about his fuel state and a mission requirement. This scene was one of several omitted from the movie. Shortly after the Rangers and Delta Force operatives returned to their base at Mogadishu airport, the newly elected President Clinton pulled them out. 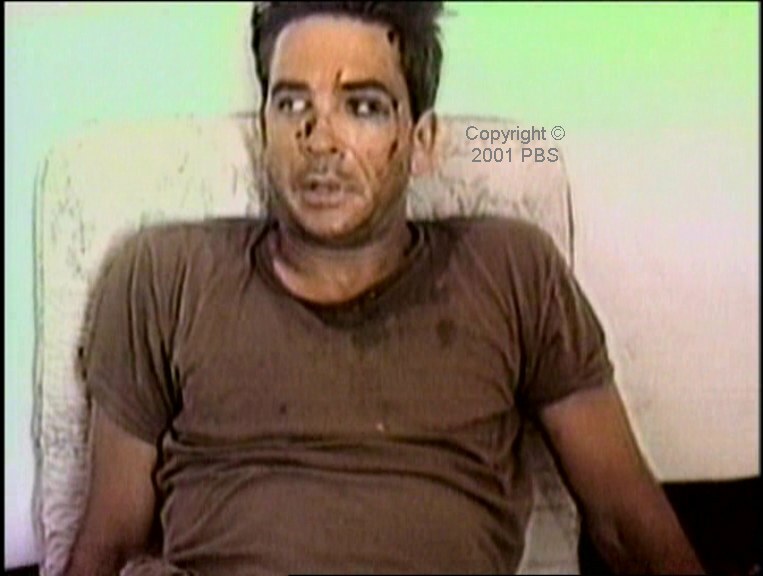 Mike Durant, sole survivor of Super Six-Four, appeared as a prisoner of the Somalis on television news. He had a broken leg, crushed vertebrae, and a gunshot wound. Durant was handed over to the United Nations 11 days after the crash and he recovered from his injuries. I have only one criticism. The helicopter crash scenes are not rapid and destructive enough. The reason for this appears to be the one-sixth scale model they used to explore the motion of a crashing helicopter. The fuselage behaved realistically, but not the rotor blades. To be fair, film clips of crashing helicopters were not as widely available in 2000 as they are now.